Multiple Award Winning Designer! Improving living environments, one home at a time. We provide functional and beautiful design solutions for your kitchen, bath and whole home. Whether your space is large or small, let my team of licensed professionals help update and improve your living area. Full service interior design, specializing in kitchen & bath design. Professional member of ASID (American Society of Interior Designers) and a certified/industry member of NKBA (National Kitchen & Bath Association). Certified by NCIDQ (National Council of Interior Design Qualification). *KraftMaid® Cabinetry Authorized Dealer* Woodwork Solutions Inc. is a luxury residential woodwork and design firm, based out of Orange County, California. Contact@woodworksolutions.net-founded in 2001 by Kevin & Erika Koorndyk, a husband and wife team, who to this day, are passionate about each project they work on. "Our goal is to contribute to the happiness, organization and functionality with each of our clients homes." Woodwork Solutions is known for it’s personalized service, quality workmanship, customized functionality and obtainable luxury our woodworking brings. Specializing in custom cabinetry & kitchen design, our team is commitment to customer service through eight core principles: Courtesy, Accountability, Integrity in Design, Quality Craftsmanship, Communication, Cleanliness, Timeliness and Accessibility. We thank you for considering Woodwork Solutions Inc. for your next project, and invite you to tour our online gallery at Houzz.com. 35 years design experience ! !Authorized Bentwood, Ovation and Omega Showrooms in San Juan Capistrano, Laguna Beach and PIRCH. 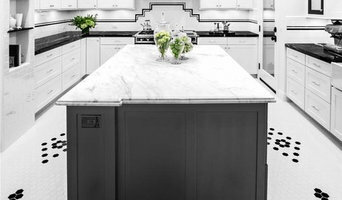 25,000 saves, voted BEST OF HOUZZ in 2016, 2015 and 2014 and a degree in Design and Architecture from Cal Poly SLO Priscilla Parris, the owner of THE KITCHEN LADY features over 116 luxury kitchen remodel projects all managed by THE KITCHEN LADY team. After project managing over 500 kitchen and bath projects, Priscilla has learned that classic styling coupled with creative space planning will be sure to ensure a lifetime of enjoyment and good use of the kitchen space. THE KITCHEN LADY is an Interior Architect for the kitchen space offering one of a kind space planning solutions. Many other companies will send out inexperienced sales people for initial client meetings but THE KITCHEN LADY meets the client at the site, designs the space and handles the implementation of the entire process. These are not cookie cutter kitchen solutions but rather unique and inviting spaces to live and love. THE KITCHEN LADY was quoted as saying: "The single most important asset for a home is to purchase long lasting furniture quality cabinetry which will outlast the trendy styles that come and go in California. The tried and true styles like, the Cape Cod, the age old Shaker Style, the California Mission, the clean lined Craftsman style , and of course the country styled themes of English, Tuscany and French will make an average house become a unique and valuable ASSET with the best kitchen on the block. Neighbors will be knocking to see the fabulous kitchen design and products. Most people only remodel a kitchen once in a lifetime, so the style and construction must be able to sustain up to 30 years of hard use, fickle style changes, kids, spills and so much more." Remember, when remodeling a kitchen: Buy sustainable products that last! Spend the most you can afford! Define your style! One of the most important and difficult aspects to being a good kitchen designer is to be able to balance form and function, decipher wants from needs, filter good and inferior products and in the end be able to manage the entire process into a beautiful workable space. THE KITCHEN LADY has the decades of experience to achieve success for her clients again and again! **We enjoy working with homeowners to make their dreams a reality, but please, no solicitations from vendors** Sue Capelli is a professional member of ASID (American Society of Interior Designers) and brings over 25 plus years of interior design expertise, along with a network of dependable subcontractors and talented craftspeople. Born and raised in Northern Italy, Giampiero Capelli has studied and successfully mastered a family tradition of furniture re-finishing and restoration. Since 1989, his proficient expertise with furniture refinishing and reproduction details have brought him many opportunities to work with some of the most established furniture restorers in the United States. Giampiero’s knowledge of woods and finishes adds an unmistakable detail and quality to the ever-evolving success of Passione. Sue has focused her successful efforts on defining the complete custom design experience, whenever the opportunity presented itself from individuals who desire a minor transformation in the preliminary stages or those wishing to build their dream home. As the co-owner of Passione, Sue’s extensive scope of responsibilities include; interior design along with custom design furniture pieces, business development, estimates and project management. Whichever the key role, Sue is ultimately responsible for the completion of each project to the satisfaction of her clients. My primary goals are to create interiors that capture a client’s unique personality, enhance the home’s individuality, excite the senses, and exceed expectations. With a myriad of beckoning options available, all projects must begin with pinpointing a client's preferences and needs; assessment of the physical space; as well as review of the budget and timeline. Having been in practice over 20 years, I bring efficiency to that process, confidence to the client's decision-making, and a rich design expertise to each project. With over 15 years of experience KKDK is an award winning interior design firm offering all aspects of residential design - from single room make-overs to coordinating with architects, builders and contractors on remodels and new construction projects. Whether you are planning to remodel your kitchen, renovate your bathroom or give any room a fresh look - we are committed to providing the highest level of service. It is our goal to exceed your expectations while being efficient, budget conscious and reliable. By listening to your needs and maintaining an ongoing dialogue throughout the design process, we ensure that each project is tailored to your individual design goals and style preferences. Once a common understanding has been established, we take what we have learned and interpret it, bring it to life, and develop recommendations that go beyond your imagination. KKDK does not merely execute your wishes and visions. We refine and expand your horizons and take it to the next level. No matter what your personal style is: The results will always be exciting and rewarding. About The Designer: Sabine Klingler Kane founded KKDK in 2002, the same year she graduated from Interior Designers Institute, Newport Beach, CA with a Bachelor of Art. Born in Germany and educated in Belgium and France, Sabine brings an international flair to her designs. Extensive travels throughout Europe, the Middle and Far East as well as South America have taught her to appreciate the art, architecture and decor of many diverse cultures and countries, which in turn informed and opened her design horizons. Besides holding a B.A. in Interior Design she also has a Master Degree in Dramatic and Media Arts. She has worked as documentary filmmaker for numerous years. This helped her to develop strong management and visualization skills as well as an understanding of scale and proportion, color and materials, balance and harmony. Her passion for design, attention to detail and excellence in artistic vision have earned her multiple awards, and - more important - a loyal repeat customer base. Sabine is an Allied Member of the American Society of Interior Designers (ASID), with an office at the Laguna Design Center in Laguna Niguel, CA. The talented designers and expert installers at Roomscapes, Inc., in Newport Beach, California, focus on the design and construction details. As members of the National Kitchen & Bath Association (NKBA), with a staff that includes a Certified Kitchen Designer and Certified Bath Designer, we combine the latest product and design knowledge with sound design principles. Whether it’s a kitchen, bath or any space in your home, Roomscapes, Inc. finds creative solutions to your design dilemmas. The Roomscapes Philosophy revolves around you – our client. It is all about ensuring you have a pleasant experience, not just during the remodeling process, but for years to come. We understand that your long-term happiness with your home remodeling project lies in the details. While you may love the overall look of your new space, it is your satisfaction with the details that will count over the years. Our professionals ensure your kitchen cabinets come together seamlessly, your built-in custom shelving or a fireplace surround in the family room accommodates everything from books to stereo equipment to your favorite pieces of art and your bedroom closet has a place for everything. We can even transform your spare room into a fully functional and comfortable home office, library or media room! Feel free to reach out to us, we would love to hear from you! Revival Flat is a boutique residential interior design firm serving Southern California. With over 20 years in the field, principle interior designer Christy Arakaki has a broad range of experience in both residential and commercial design. Christy has also been an adjunct professor of interior design for over 13 years. Teaching design has had a tremendous impact on her approach to design. She views design as a combination of art and science and uses theory to provide the logic for each solution. Christy brings a personalized touch to every interior–from the simplest project to the most complex. Her goal is to understand your wants, your needs; then design an interior that is both beautiful and functional. Design is a collaborative process of creative problem solving. Christy approaches each project with the notion that every successful design solution must start with a thorough understanding of the problems within a space. With that understanding she creates beautiful spaces that are unique to each client's individual personality and aesthetic. Orange County's Modern Kitchen and Bath Specialist - Best of Houzz! Jack and Ojini Arzoumanian are the husband and wife duo behind Principle Design and Construction, a boutique style design and build firm specializing in residential interior spaces, remodels and additions. If you are looking for a team committed to providing their clients with a high level of professional, unique interior design and stellar project management look no further! Here at Principle Design & Construction, we understand that the construction process can be overwhelming. PDC encompasses all that is required to create an experience that can actually be an exciting process, from design plans and material selections to permitting and project scheduling, we have you covered. Because that’s what we love to do. 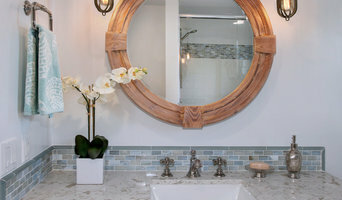 BEST OF HOUZZ DESIGN & SERVICES 2012 - 2019 2018 BATHROOM OF THE YEAR (HOUZZ LOCAL AND NATIONAL) Bonnie Bagley Catlin, CID Certified Design, is a national award winning designer located in North San Diego County with over 20 years of designing and executing project detailing for home owners and building contractors. We are know for our willingness to provide hands-on guidance in residential and commercial projects of all sizes. Let us help you to imagine and create an incredible space that combines luxury with functionality, simplicity with sophistication. Bonnie has partnered with contractors with experience and who will fit your project and personality throughout Southern California. You may notice some of our unique projects in different online websites and other online locations when contractors wish to highlight their best work. If you have questions about any of our projects, please call us or send an email. Bonnie Bagley Catlin has been honored for its exceptional design work with numerous local and regional awards including Best of Houzz 2012-2019. Bonnie's award-winning work is prominently featured in dozens of local, regional and national print and online publications including HGTV blog, Kitchen Bath Design News, Luxe Gold List 2017, Coastal Magazine, Modern Luxury, Riviera, the San Diego Union Tribune, San Diego Home/Garden Lifestyles, NKBA Mag, Seattle Magazine, Portrait of Puget Sound, Remodeling Ideas for your Home, At Home, and San Diego Magazine. Cynthia Pedigo, C.M.K.B.D. is the only "Certified Master Kitchen & Bath Designer" in the Greater Los Angeles Area with over 20 years of experience in the design field. She is an active member of the National Kitchen and Bath Association (N.K.B.A.) having served on it's board in various roles including Vice President of Professional Development. Cynthia attended the UCLA School of Interior Design and began her impressive career in hospitality and commercial design, owning her own firm. Today, she continues her love of design, creating beautiful kitchens, baths and other spaces for her clients. The scope of her projects range from small cozy home kitchens to designing numerous room types in large new constructions. Cynthia's key to success is now, and has always been to personally, professionally and passionately enable her clients to achieve the "design of their dreams". Her passion for detail is her magic! Monica Ledesma is an award winning Architectural Designer for Long Beach, Huntington Beach and Seal Beach. MLD has experience in 'from the ground up' new construction & major remodeling projects. Working with Architects and General Contractors to ease the construction process by providing detailed drawings and working closely with the team to keep the project on track. Monica believes it is more than creating beautiful spaces, it's creating relationships and a long lasting impression. Concept to Completion Services. Creating spaces to enjoy for years to come, keeping the client involved and listening to their needs to achieve the clients dream home. Exceptional Design is in the details! Principal designer Jenika Kurtz Cuadra began her career at a young age in Palm Springs, CA, where she would help her parents, a general contractor and real estate agent, transform dilapidated fixers into stylish, welcoming new homes. In addition to years spent apprenticing her father in the field, a formal degree in Interior Design, and more than 10 years of experience have strengthened Jenika's technical abilities and molded her distinct aesthetic. As designer and project manager for distinguished architecture and interior design firms in Los Angeles, managing both residential and commercial projects throughout Southern California and beyond, Jenika also learned how to successfully direct each phase of the design process. Jenika’s appreciation and enthusiasm for her craft manifest themselves in her designs. Her ardent approach to the process is recognized and appreciated by her clients, many of whom she is very pleased to call friends. What does a Ladera Ranch kitchen designer or bathroom designer do? A kitchen and bath design professional in Ladera Ranch, CA knows to take all of these crucial points into consideration and can help plan the layout, materials and overall look and feel of either of these rooms in your home. Kitchen designers, as well as bathroom designers, are constantly staying on top of trends in the ever-changing industry. The designer also knows the best layout for your room, and can configure the layout for optimal functionality and utilization of the space. In the kitchen the refrigerator, stove and sink should be laid out in relation to one another, and it should be seamless and easy to move from one to the other. A Ladera Ranch kitchen and bath designer will know how to work with a contractor and architect to plan the flow of the room to work best for your needs. Here are some related professionals and vendors to complement the work of kitchen & bath designers: Kitchen & Bath Fixtures, Appliances, Tile, Stone & Countertops, Cabinets & Cabinetry, Woodworkers & Carpenters. Before you talk to bath and kitchen designers in Ladera Ranch, CA, consider how you will use the room. For your bathroom, is it necessary to have a bathtub for bathing kids or pets, or would a shower suffice? Perhaps all you need is a half bath for downstairs or a smaller guest bath for occasional use. Similarly, for kitchen renovations consider your cooking habits. Do you eat out every night but need a space to entertain in? If so, a smaller kitchen might be fine for you, with a space devoted to wine storage or a bar, whereas others might prefer a bigger stove or extra cabinets. When interviewing Ladera Ranch kitchen and bath designers, make sure to share these habits so they can best fit the room to suit your needs. What type of education and experience do you have in kitchen design and/or bathroom design? How long will the redesign take to complete? Will you provide any cost-saving ideas? Do you design ecofriendly kitchens? Or can you add in green kitchen or bathroom features? Find a Ladera Ranch kitchen designer or bathroom designer on Houzz. Narrow your search in the Professionals section of the website to Ladera Ranch, CA kitchen and bath designers. You can also look through photos in Ladera Ranch, CA to find a kitchen or bathroom you like, then contact the professional who designed it.